I have done this mod recently. Used some of the stuff from TS site. 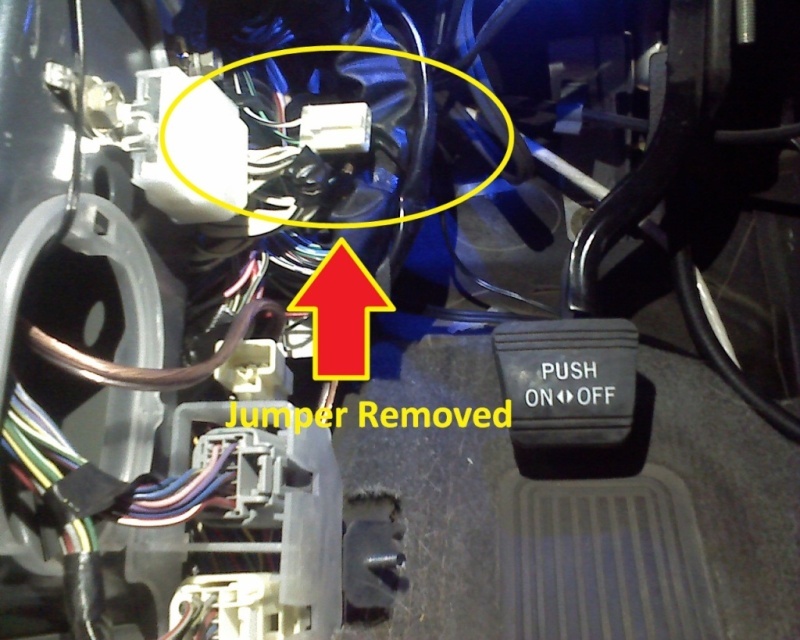 there is a simple jumper removal and a light install and GBS install. I removed my jumper and added the light, i did not do the GBS yet. 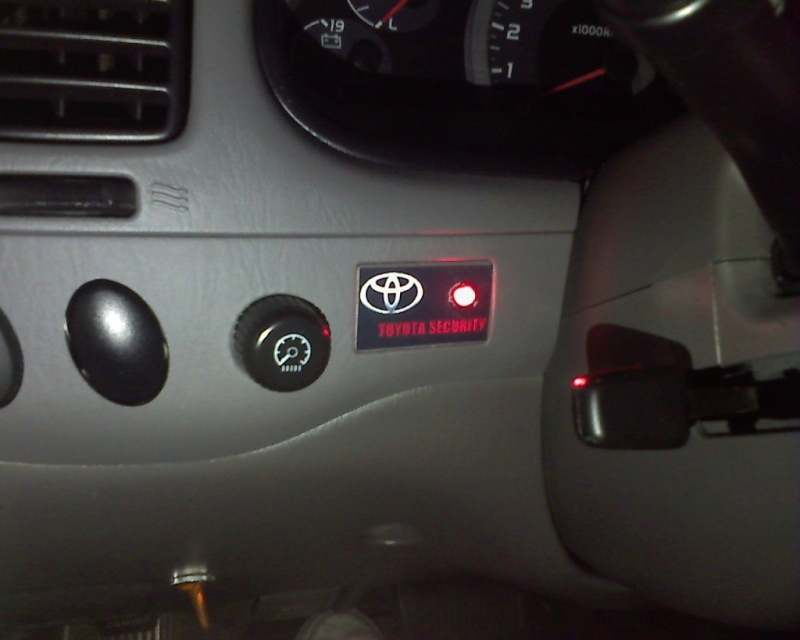 This mod will allow you to upgrade the keyless entry system (RS3200) on a 2003 Tundra to a fully functional alarm system (RS3200Plus) without buying the factory upgrade kit. To upgrade to RS3200Plus, you will need to add a status light and a microphone, activate the system, program the system, and adjust the GBS sensitivity. As always, disconnect your battery before working on any electrical components. 2. Status Light: Any 12V LED and LED holder in the color and size of your choice. I recommend the extra-bright LEDs so they show up better during the day. You may also want to get a second LED for mounting in a second location in your truck for more visibility. 1. Make your own Status Light/Microphone Insert. Use the rectangular knockout in the illumination panel for the insert blank (or make your own out of black plastic or plexiglass). Drill hole as required and mount LED on one side. Drill 1/4” hole on the other side and glue microphone behind hole. I used superglue epoxy glue for this (two-part epoxy). Be careful not to get glue on the face of the microphone as it will block sound from entering. I also glued an LED holder over this hole to give it more of a finished look. See this picture and this picture for finished insert. The LED is black and the microphone is silver. 2. Wire and Install the Insert. Find the loose 4P black connector behind the illumination panel and pull it through the rectangular hole. 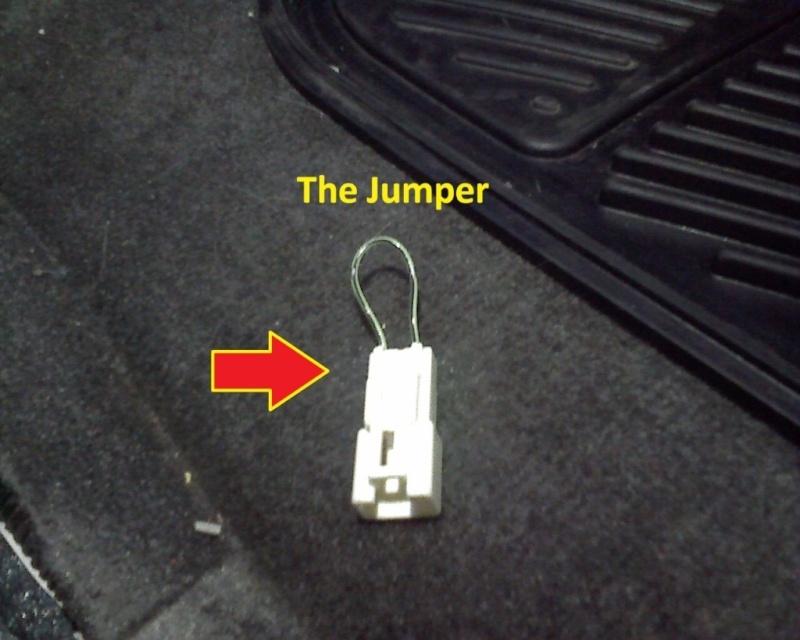 This picture shows the connector. Orient the connector horizontally with the tab up. The pins on the connector will be referred to here as 1,2,3,4 from left to right. Just to check, pin 4 should have a gray wire going to it. The positive LED lead (the longer wire or the red wire, depending on the type of LED you have) goes to pin 2. The negative LED lead goes to pin 4. The white wire (output) from the microphone goes to pin 1. The red wire (power) from the microphone goes to pin 3. The shield (ground) from the microphone goes to pin 4. I folded all of the wires over and put a little solder on them to make them stay in the connector a little better. This picture shows the insert fully wired. Snap the insert back into place. This picture shows the insert installed. 3. Activate the RS3200 System. 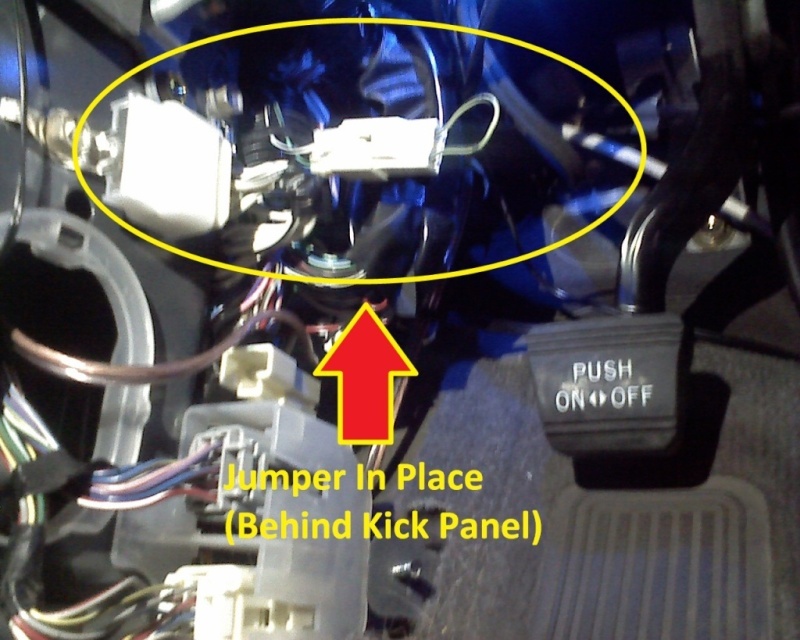 Follow the instructions in this link to disconnect the 3P shorting harness to activate your alarm system. You will need to remove several panels to do this. 4. Program the RS3200 System. Follow this link to print out the programming manual. Or, follow this link to print out the owner’s guide. 5. Adjust the GBS sensitivity. Follow the instructions in this link to adjust the sensitivity of the glass breakage control unit. I adjusted mine to about 5. At this level, I had to rap the drivers window with a key pretty hard to get the alarm to go off. You’re Done. Enjoy your $5 fully functional alarm system. You just saved about $120. The activation portion of this mod was originally posted by Rlockyer, the LED portion was originally posted by Gilley, the microphone portion was originally posted by jtmeyer, the programming instructions and owner’s guide was originally posted by nhparrot, and the GBS sensitivity adjustment was originally posted by Gilley.